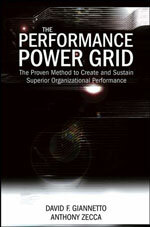 The Performance Power Grid - The Proven Method to Create and Sustain Superior Organizational Performance - Innovative, practical and contemporary, how any organization can create an effective, self-correcting environment in which people and resources are consistently applied to those things that truly drive performance. Edited from original writing by the authors along with supplemental material and interviews. Published by John Wiley & Sons, 2007 and available at Amazon.com. 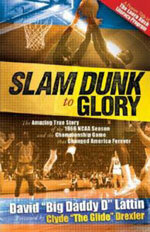 Slam Dunk to Glory - The Amazing True Story of the 1966 NCAA Season and the Championship Game that Changed America Forever - The uplifting, inside story depicted in the film, Glory Road, told by David "Big Daddy D" Lattin. Inspirational and insightful. Written from interviews with the author, drawing as well on supplemental material. Published by White Stone Books, 2006 and available at Amazon.com. 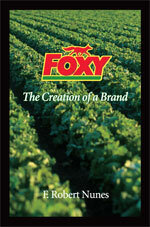 Foxy - The Creation of a Brand - The story of the produce industry in California and Arizona. How the author and his brother founded a small holding and grew it into one of the largest and most recognized producers of quality produce in America. A fascinating insider's look into a little known or appreciated industry. Editing of author's written material. Portions ghostwritten from information provided by author in interviews. Editing following his rewrite and insertion of new material. Presentation copies self-published. Decision to seek outside publication and/or distribution pending. 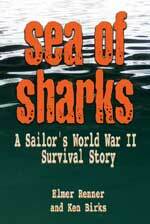 Sea of Sharks - A Sailor's World War II Survival Story - The gripping story of a small U. S. Navy ship caught in the typhoon of the century, of it's capsizing in the heart of storm, and the six day battle for survival of the handful of survivors. Ghost written from two manuscripts, each written by one of the credited authors, supplemented by interviews and independent research. Published by The Naval Institute Press, 2004 and available at Amazon.com. 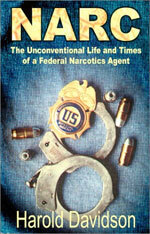 Narc : The Unconventional Life and Times of a Federal Narcotics Agent - The exciting world of an undercover DEA agent as told through the life of a career officer. Always fascinating, often humorous, experience the drug criminal underworld as you've never seen it before. From the mean streets of Detroit, to the landing strip of a drug cartel in the jungles of Brazil, join in the greatest chase of 'good guys' versus 'bad' you've ever experienced. Heavily edited by the ghost writer and rewritten in places from the author's original manuscript supplemented by interviews. The God Within - Father Tom Allender's seminars and parish missions across the United States have been attended by hundreds of thousands. 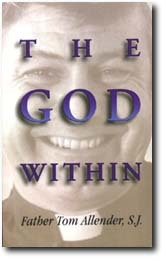 Now Father Tom's message of the path to a spiritual life in these modern, turbulent times is available in a book. Ghost written from a transcript of oral presentations supplemented by interviews. 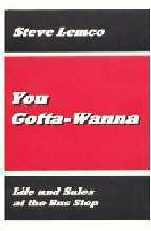 You Gotta-Wanna - Steve Lemco is originator of the Lemco Method of sales. He has presented seminars and conducted training sessions world-wide. Written, edited and rewritten from a first draft supplemented by email and interviews. "Without Ron Watkins talking me through the creative process I honestly believe 'You Gotta-Wanna' would never have been written. His reworking of the manuscript left every bit of 'me' in the book and I discovered things about myself I never knew. I can't recommend Watkins & Associates more highly." 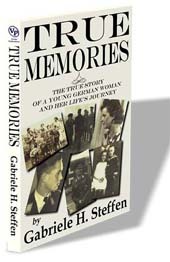 True Memories - At her mother's death, Gabriele Steffen promised to chronicle the life of her parents. An emigrant to the United States, English is her second language. Their story and her autobiography was written, edited and rewritten from a first draft, supplemented by email and interviews. "I am extremely grateful to Ron Watkins for the friendly and professional way in which he handled my manuscript. It was a privilege to work with him and I am looking forward to another project." Those above are just a small sample. In addition, we have rewritten and edited the memoirs of a retired African big game hunter and guide, converted a series of seminars on self-esteem into a companion book, written an account of a hellish remodeling project, written a novel of terrorism in the 21st century and edited the business lessons of a retired Swiss executive learned over a lifetime, to name just a few. We have also ghosted published works by businessmen, entrepreneurs and motivational speakers, as well as autobiographies, novels, screenplays and other works of non-fiction. We also edit novels, rewriting as necessary.